Box Text: Did someone tell you chess is a civilized game played by civilized people? Forget it. Chess is war - ruthless, cutthroat battle where one warrior lives to fight again and the other is left on the battle field. With Battle Chess you don't just imagine the battles, you experience them! You'll hear the clank of armor, as you watch dramatic, 3-dimensional animations of courageous heroes fight to protect their kin. Battle Chess is the most incredible chess game you've ever seen - where empires can be won - or lost! 09-14-2016 edomaden Box Text Did someone tell you chess is a civilized game played by civilized people? Forget it. Chess is war - ruthless, cutthroat battle where one warrior lives to fight again and the other is left on the battle field. With Battle Chess you don't just imagine the battles, you experience them! You'll hear the clank of armor, as you watch dramatic, 3-dimensional animations of courageous heroes fight to protect their kin. 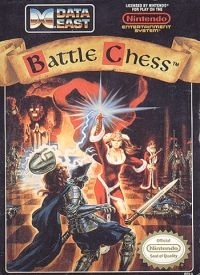 Battle Chess is the most incredible chess game you've ever seen - where empires can be won - or lost! 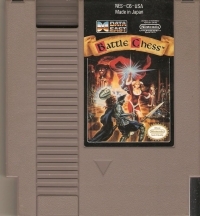 This is a list of VGCollect users who have Battle Chess in their Collection. This is a list of VGCollect users who have Battle Chess in their Sell List. This is a list of VGCollect users who have Battle Chess in their Wish List.